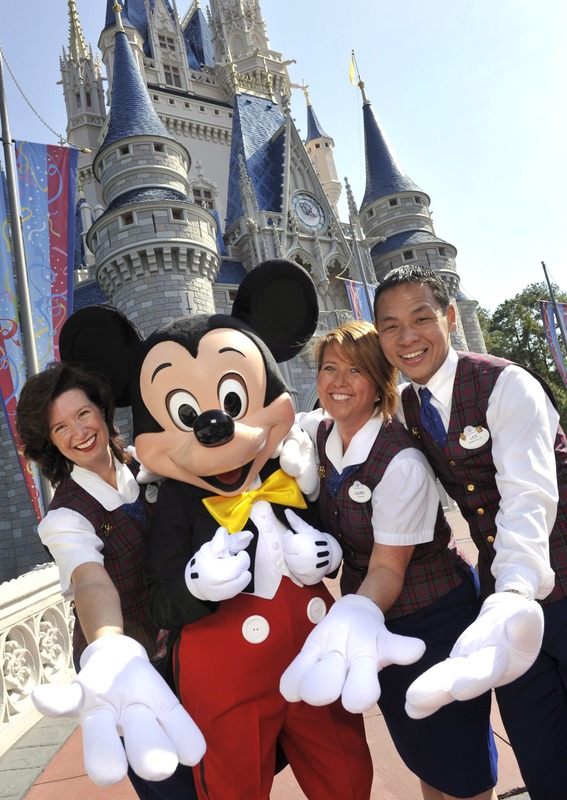 Disney World is such a special vacation and there surely isn’t any shortage of things you can do to enhance it. 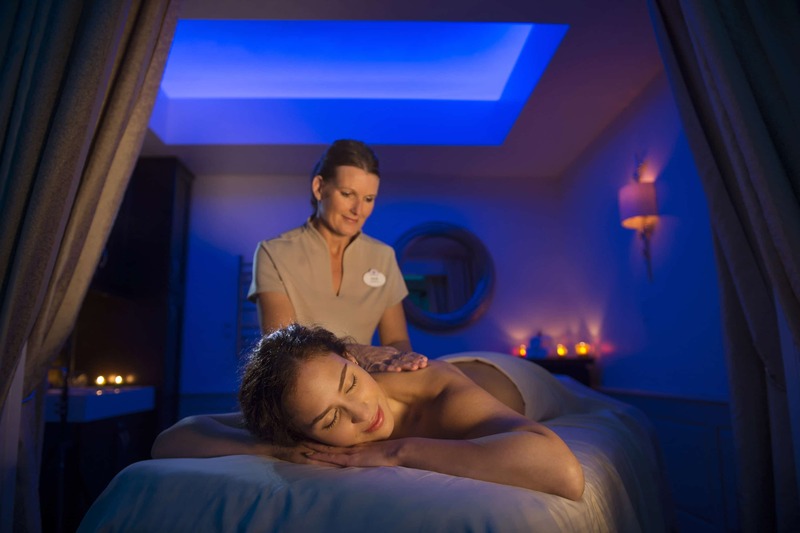 Of course you may stay at a Disney hotel and visit the parks, but are you looking to add a special experience to your stay? 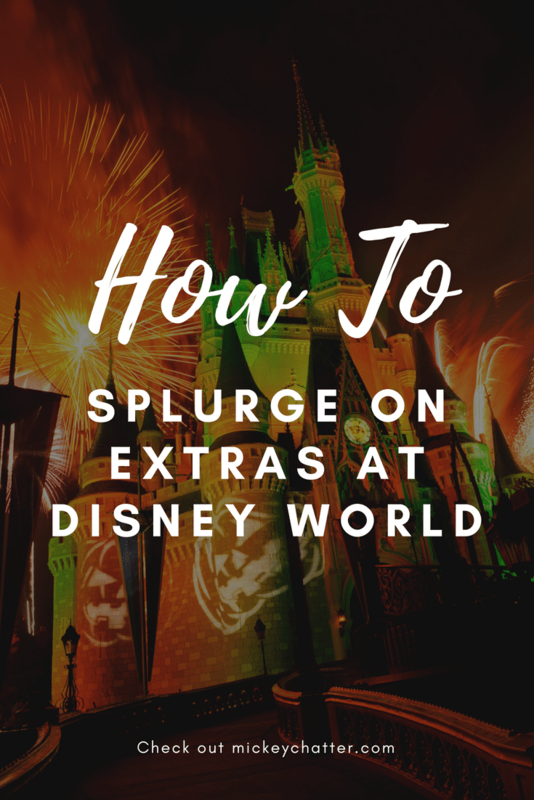 If you want to do something extra special, then I’ve got the list for you of the top Disney World splurges! You can book for breakfast, lunch and dinner. The price ranges from $35 to $80 per person and you will need to book it in advance. It is recommended to book it as far out as 180 days. Mostly every park has a Dessert Party that they pair with their evening entertainment. You’ll start the evening off by getting to indulge in a buffet of sweet and sometimes savoury treats. The selections are always so well presented and everything looks so delicious. They also offer a variety of beverages, including some alcohol options for guests 21 and up. Once you finish dining on as much food as you’d like, you then have access to a private viewing area for the evening entertainment. The experience is almost worth it for the viewing area alone. You’ll get to avoid the cramped area of the general public and they usually place you in the best viewing area. Some dessert parties even include a special souvenir or experience. 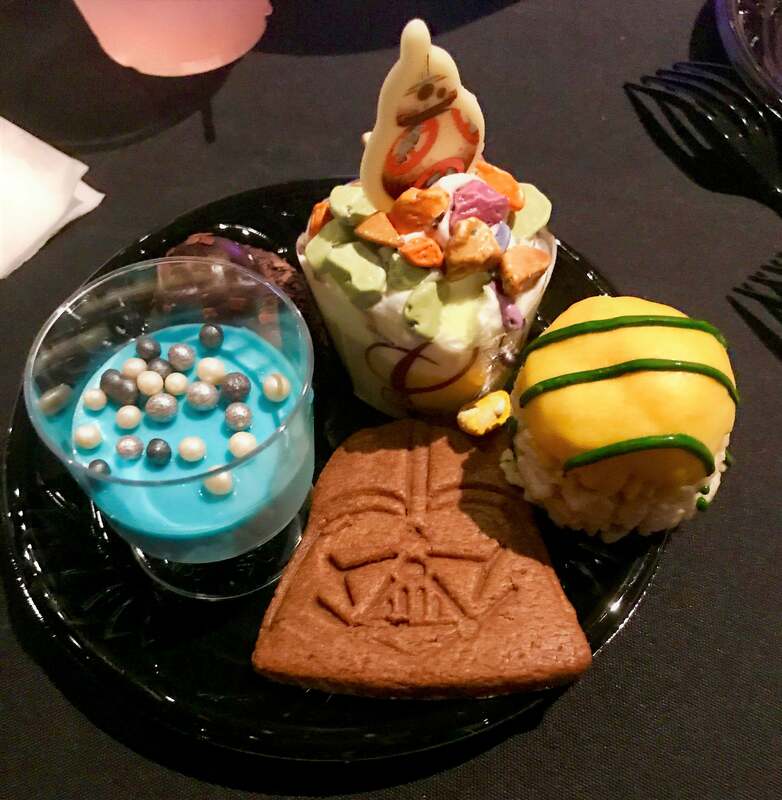 For example, the Star Wars dessert party will provide you with a Star Wars themed souvenir. For the Frozen dessert party at Epcot, you’ll get access to ride Frozen Ever After after the viewing of the fireworks. You’ll have to book your spot at a dessert party in advance and the cost ranges from $20 – $80 per person. This is an absolute must for any foodie! You will get to dine on 5 courses at 3 different Disney hotels as you move around with the monorail. You begin at the Contemporary resort where you enjoy a cocktail and appetizers. Then you move on to the Polynesian, where you will get to eat more delicious appetizers. You then hop over to the Grand Floridian where you will have two dining experiences. First you will sip on champagne and enjoy a selection of cheeses & charcuterie. You will then be escorted to Citricos, where you will enjoy a special Chef’s main course selection. To end your evening, you head back to the Contemporary to indulge in desserts, cordials and coffee. 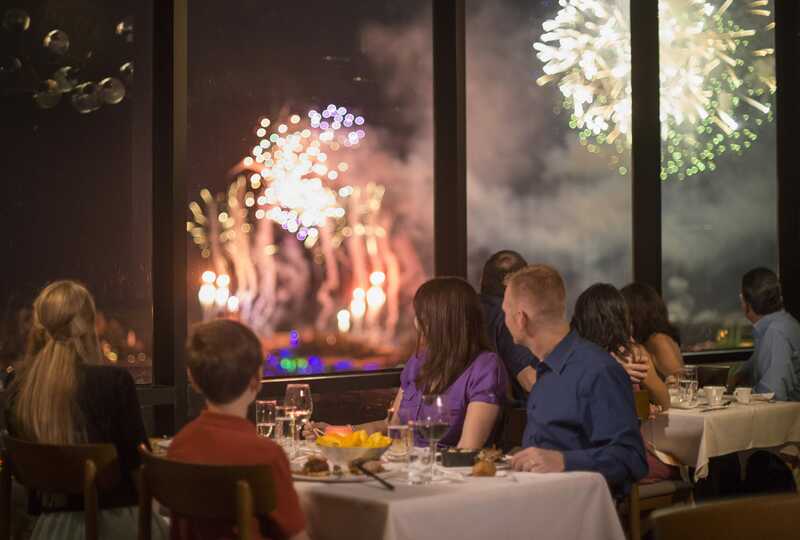 Your evening will end by being able to enjoy the Happily Ever After fireworks from a special viewing location at the Contemporary. Advanced dining reservations are highly recommended for this experience and the cost is $170 per person plus tax. This experience is meant for guests 12 and older. Want to give your little one a makeover she/he won’t forget? For children ages 3-12, Bibbidi Bobbidi Boutique offers a variety of packages for both princesses and princes. You can get hair, nails, and makeup done. They even have packages that include a full costume . You really get the royal treatment! They have two locations at Disney World – one in Magic Kingdom and another at Disney Springs. You can reserve as far out as 180 days and you’ll have to call (407) 939-7895 to make a reservation. The cost ranges from $20 to $450. VIP tours are the ultimate way to experience any Disney park, but it takes a lot of $$$. If you are looking for a BIG splurge, then this is it! They have a variety of different tour packages to choose from and each offers something different. The private VIP tour is the sweetest one of them all as it offers the most flexibility. It starts with your private guide picking you up and taking you to whichever park you’d like to visit. You just tell your guide what you’d like to see and they make it happen. With a private tour, you won’t have to wait in any long lines at the attractions and you’ll get access to VIP viewing areas for parades, stage shows and fireworks. It really is the ultimate Disney day out! The price tag is a bit hefty. The price ranges from $425 to $625 per hour and this is on top of your park admission. The minimum duration for a private tour is 7 hours and you can have up to 10 guests. You can reserve VIP tours up to 180 days in advance. A stay at a Deluxe hotel is a splurge on its own, but getting Club Level adds something extra. You’ll enjoy personalized service and get access to the Club Lounge. In the Club Lounge, they serve refreshments all day and you can pretty much cover all your meals with that if you are at the hotel during meal times. They put out a very extensive spread. The food they put out during the day is more than enough to cover breakfast and lunch. In the evening, they also offer hot and cold appetizers along with wine, beer, cordials and desserts. You’ll also get access to an Itinerary Planning Officer that will personally help you with anything you need. Before you arrive, they will work with your travel agent to make all your arrangements for dining and special events. While you are there, they can assist you if you need to make any changes, arrange for on-site babysitting, purchase tickets for special events etc. They even have manicure and pedicure packages for children aged 4 to 12. To book a spa treatment, you need to call (407) 939-7727. California Grill is amazing anytime since it offers unparalleled views of the Magic Kingdom as you dine. Every Sunday, they offer a Sunday Brunch and the selection of food is out of this world! 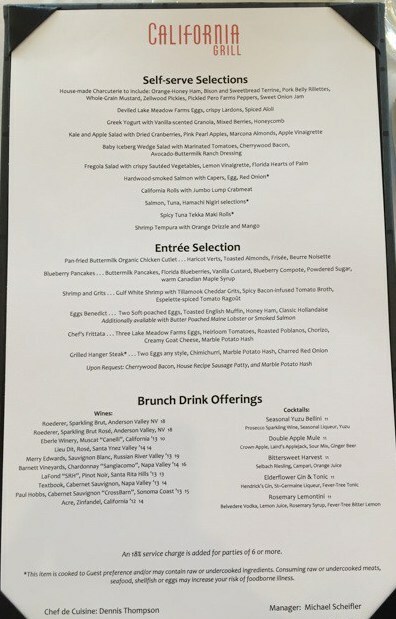 You must make advanced reservation for brunch and the cost is $80 for adults and $48 for children aged 3-11. Brunch is served every Sunday between 10 AM to 1 PM. The Grand Floridian itself is worth the visit, but going for High Tea is a real special experience. You’ll enjoy some scrumptious delicacies in the Garden View Tea Room while you sip on tea. You can enjoy small tea sandwiches, pastries, scones and other delicacies. It is quite the experience! This runs daily at the Grand Floridian from 12 pm to 4 pm. The cost varies as there are a bunch of packages that you can choose from. The selections range from $35 to $175, while they have an option for children aged 3-9 for $23. While there are so many great restaurants to enjoy at Disney, there are only 3 dinner shows that provide entertainment as well. All of the dinner shows are a fixed price with an all-you-can eat style dining. Some of the shows are interactive, so if you enjoy that sort of entertainment, then this is a must-try for you! The cost is approximately $37 and up for children, $62 and up for adults. This is probably one of my favourite things to splurge on when on vacation at Disney World. 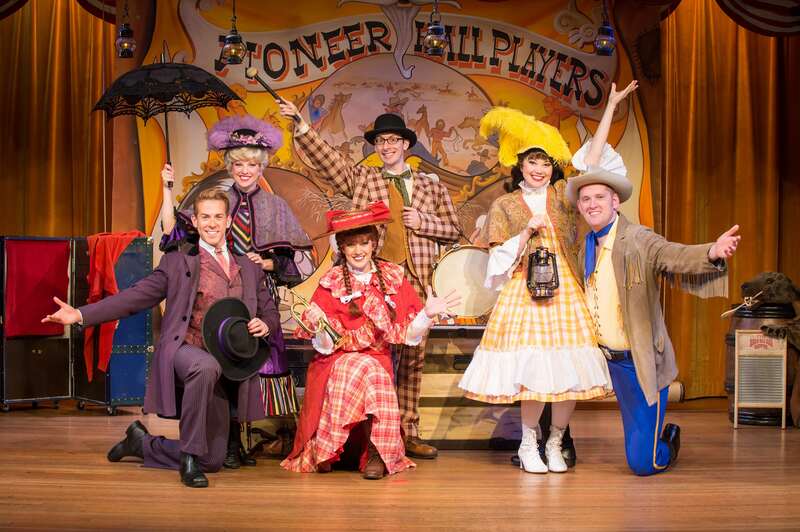 Memory Maker gives you unlimited downloads of all the photos you’ll take with Photopass photographers at the parks. It also includes any on-ride photos and/or videos that you’ll get in your account. I love the convenience of the Photopass photographers and that I don’t have to worry about taking out my own camera all the time. You can then also dress up your photos with Memory Maker. They have several borders, stickers and autographs that you can add to your photos when editing them. You’ll also get the added benefit of Magic Shots. That is when a photographer asks you to pose a certain way and then a little “magic” is added to your photo. No way you can get that with your own camera! If you purchase Memory Maker in advance, it will cost you $169 USD. If you purchase it after you have already arrived, then the cost is $199 USD. You can also check my tips on how to reduce that cost in How To Get Memory Maker On The Cheap. Disney has a special option for viewing fireworks. You can charter a boat and watch them near the World Showcase Lagoon or on the Seven Seas Lagoon. This is for both Illuminations at Epcot and Happily Ever After at Magic Kingdom. You get the comfort of being on your own private boat and you’ll get the audio of the fireworks show onboard your boat. Each cruise has its own captain and it also includes snacks and soft drinks. It really is a very special experience. The prices range from $299 to $399 and up, depending on the size of boat you select to charter. Two seasons out of the year, Magic Kingdom holds parties a few times a week to celebrate two holidays – Halloween and Christmas. From the end of August until the end of October, you’ll have the chance to attend Mickey’s Not-So-Scary Halloween Party. The parties run about 3 times a week and begin at 7 pm, but you can enter the park as early as 4 pm. At the party, you come in costume and you will get to trick-or-treat around the Magic Kingdom. You also get the opportunity to meet rare characters, such as all Seven Dwarves at once! There is also a special themed parade, fireworks show, castle stage show (villains) and dance parties. It really is a lot of fun. You can read more about it in Extra Perks You Get at Mickey’s Not-So-Scary Halloween Party. From the beginning of November until mid-December, you can attend Mickey’s Very Merry Christmas Party at the Magic Kingdom. It works the same way the Halloween party does, but the theming is Christmas. You’ll get to enjoy cookies and hot chocolate, watch a magical Christmas parade, special fireworks and meet characters in their Christmas attire. One extra bonus is that you’ll get to see it “snow” on Main Streets USA, such a beautiful sight! You’ll need to purchase a separate ticket for these events and they start at $85 per person. 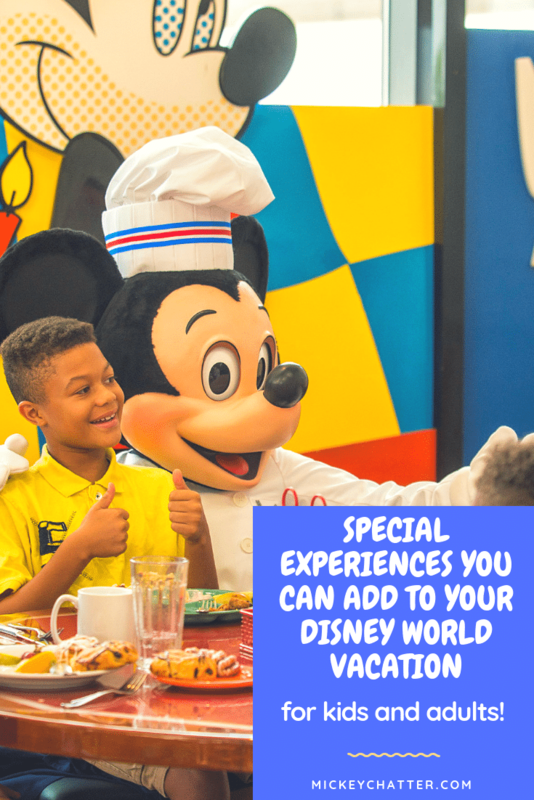 Are you ready to add a little extra something to your next Disney vacation? What would be the ONE thing you would want to splurge on? Two of the things mentioned in this, we’ve splurged on, regretted, and haven’t done since. First is the dinner at Cinderella’s Royal Table. There’s no way it’s worth 2 dining credits or $85 per adult if paying out of pocket. Breakfast isn’t much better when you’re paying $50 out-of-pocket or 2 dining credits for eggs and bacon. You can see all those princesses at Akershus in Epcot for far less in cost. You may not get the view of Fantasyland, but we didn’t either when we at CRT. You really only see it if you’re seated at a window table. The second is the Memory Maker. I spent close to $100 (and that’s with the military discount, so it will be even more for non-military) and came home with one photo, not counting the stock photos they give to everyone. ONE! Either the lines were way too long for the photographer which would wipe out too much precious park time, or the photographers were nowhere to be found. We wanted to get one at the entrance to Hollywood Studios. Stood in the line only to be told he was going on break. And then he left. No one came to take his spot. We went into the park, and when we went to leave, there still wasn’t anyone there. So I basically paid $100 for ONE photo! Never again!!! Oh my, I am so sorry to hear that you were not able to get any photos with your Memory Maker. I’ve always come back with tons of photos. Were you there during a very busy time? We always manage to find lines that are not too long, but we try to travel during the low seasons.